The Law Office of Shelly A. Merchant represents individuals in Deer Park, Pasadena, La Porte, Houston, and surrounding areas in a wide range of general practice matters including family law, bankruptcy, probate and much more. We are a small firm in a small-town suburb of Houston providing clients with a friendly atmosphere and personalized service in addressing their legal concerns. We listen to your needs and work to understand your individual legal situation to help you through a difficult situation. 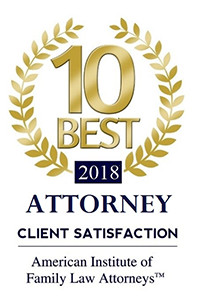 Our attorneys are more than willing to tackle the unique challenges your case presents and to determine and execute the best strategy to secure your goals. 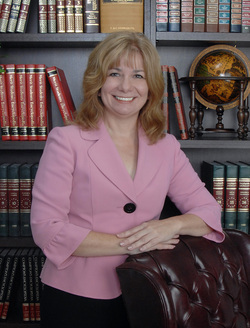 If you need legal assistance in or around Harris County, Texas, call Shelly A. Merchant today to find out how we can best help you in your legal needs. Personalized attention — Our attorneys give clients personalized, individual attention and direct, hands-on representation to best understand your needs and goals. We then work diligently to execute strategies effectively to help you get results. Compassion — We understand that the legal situations that our clients face can be difficult and stressful. We treat our clients with compassion and an open ear to ensure that all of your legal concerns are addressed appropriately. Experience — With more than 30 years of experience in helping clients, Shelly A. Merchant has the knowledge necessary to successfully guide you in your legal matter. We fully apply our abilities in the best interest of each client, and we work meticulously on your behalf. Shelly A. Merchant effectively represents clients, primarily in family law, probate and estate planning and bankruptcy. Family law — In our family law practice, we listen to your needs and help you reach solutions in matters such as divorce, child custody, modifications and adoptions, with Mr. James C. Henry as Of Counsel, we offer combined family law experience of more than 80 years. Probate — In our probate practice, we guide executors and beneficiaries through the complex process of probating an estate. Bankruptcy — We advise clients about whether filing for bankruptcy is the most effective way to take control of your debt. Call Shelly A. Merchant at 281-817-0998 today to schedule consultation or contact us online.